Jo Dodds is becoming a widely-known figure in the climate change community. From being an active member of the community, to running for council as an independent, Jo had the best interests of her community at heart. But her work on climate change, her activism, her willingness to speak truth to power at this time of active climate denial in Australian politics, that came later. We learn what activated Jo, what drives her, and how she maintains her relentless pace. She's gone onto deliver keynotes and speeches, travelling with Bill McKibben, founder of 350.org, on a recent tour of Australia. 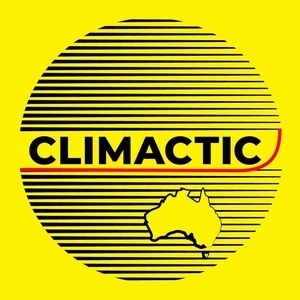 It was a real pleasure to have Jo on Climactic, and we can't wait to have her back. NSW town of Tathra looks to rebuild two months after devastating fires - ABC News (Australian Broadcasting Corporation) — When almost everything you own is reduced to dust and rubble, putting it all back together can be a daunting prospect. 'I'm furious': Tathra councillor says now is the time to talk climate — Jo Dodds says her home near Tathra was threatened on three sides by Sunday's fires, as she watched black plumes of smoke rising from houses of friends and heard gas bottles exploding one after another. 350.org — 350 uses online campaigns, grassroots organizing, and mass public actions to oppose new coal, oil and gas projects, take money out of the companies that are heating up the planet, and build 100% clean energy solutions that work for all. 350's network extends to 188 countries.